I currently serve as International Mentor to Aisalkyn Botoeva (Brown University) for a research fellowship awarded by the Central Asia and Afghanistan Research Fund of Aga Khan Development Network. 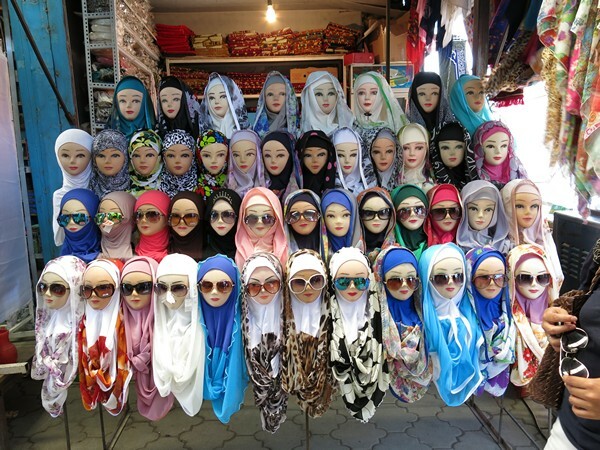 Botoeva’s research explores the cultural and political means through which the “run-by-Muslims” market niche is being created and legitimated. Ranging from private daycares to food producers and guest houses, these organizations position themselves as offering halal goods and services. Through participant observation and in-depth interviews with pious entrepreneurs in Bishkek and Osh, Botoeva examines the practical and discursive work entailed in delineating a “moral market” in contexts where uncertainty and doubt is usually dealt through patron-client relations and corruption. From 2008 to 2011 I served as an International Scholar for the Central Asia Research and Training Initiative (CARTI), working with Bakty Kydyrmysheva, a specialist in gender studies from Osh State University. Kydyrmysheva’s research explored the impact of out-migration from southern Kyrgyzstan to Russia on intra-family gender relations, family planning decisions, and power dynamics. Kydyrmysheva was a visiting scholar at the University of Manchester from February to May 2009. Between 2006 and 2009, I co-directed the Regional Seminar for Excellence in Teaching (ReSET) programme on Nationhood and Narrative in Central Asia: History, Context, Critique with Dr. Nina Bagdasarova from the American University-Central Asia. This project brought together 35 University teaching faculty from five states of Central Asia, as well as Russia, the UK, US, Ukraine and Canada for a three-year series of intensive summer institutes and spring workshops at Issyk-Kul in Kyrgyzstan. The Seminar explored the way that questions of nationhood, ethnicity and narrative have been conceived and theorised in a variety of intellectual traditions, and the way that these approaches inflect debates about, and curricular content pertaining to nationhood and nationalism in Central Asia today. Seminar participants- Tohirjon Kalandarov, Zarina Avganova, Shahnoza Madaeva and Sergey Abashin, Issyk-Kul, Kyrgyzstan 2008. Funded by the Higher Education Support Program of the Open Society Institute, the Seminar focused on linkages between scholarship and University teaching, foregrounding questions of curricular innovation. 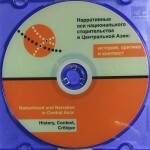 It resulted in a collaborative teaching resource on Nationhood and Narrative in Central Asia, produced in English and Russian, which has been distributed to Universities throughout Central Asia.